To order this product in United States, please contact your local distributor. The Smurfs are popular with children all over the world, famous for their charming personalities and exciting adventures. 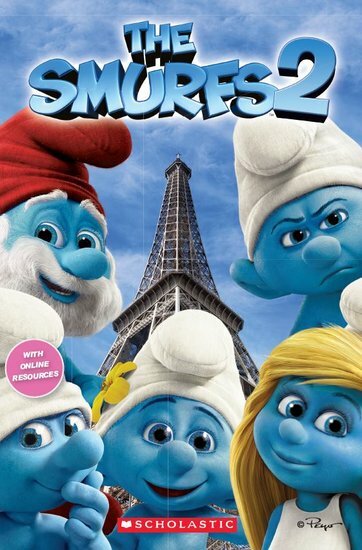 The Smurfs 2 Popcorn ELT Reader is based on the second film in the recent Smurfs film franchise. Popcorn ELT Primary Readers are a series of low-level, graded readers from Scholastic. Based on popular films, TV series and classic children’s literature, Popcorn ELT Primary Readers are targeted at children in the early stages of learning English. They are published at four levels following a carefully graded syllabus. 280L Lexiles are the global standard in reading assessment. They are unique as they are able to measure a child and a book on the same scale – ensuring the right book gets to the right child at the right time.